Dec. 1, 2018, the first swim meet of the season finds Heffernan not fully healed. He turns to coaching the younger club groups. Livin’ the dream. No matter who you are, it’s safe to say that you’ve had some dream for the future. Senior Montana Heffernan was living his dream, he had the time and the talent to make it a reality, but complications made him stall one foot from the finish line, literally. On Sept. 28, Heffernan committed to swim for Midland University in Fremont,. “I’ve been swimming since I was 8. Since I was little, I was sure that I’d be doing [swim] in college,” he said. But to make the jump to the next level, college swimming, Heffernan had to be at his best. “Since I was born, I’ve had zero flexibility in half of my foot, the joints in both the left and right feet were messed up, and I couldn’t get full extension in running, swimming, or anything,” said Heffernan. To correct this foot problem, he underwent a surgery that included moving the joints and putting a screw in each foot to hold the joint in place. Theoretically, this should’ve provided him with easier running and swimming, and also correct the problem with his joints. But it didn’t. The surgery occurred on Aug. 20, meaning Heffernan was still in a boot when he made his commitment. The right foot healed well, giving him the flexibility that he needed, but the left foot did the opposite. “The interesting thing was that it was supposed to heal, but instead it just broke the whole foot down worse and gave me stress fractures all over my feet,” Heffernan said. 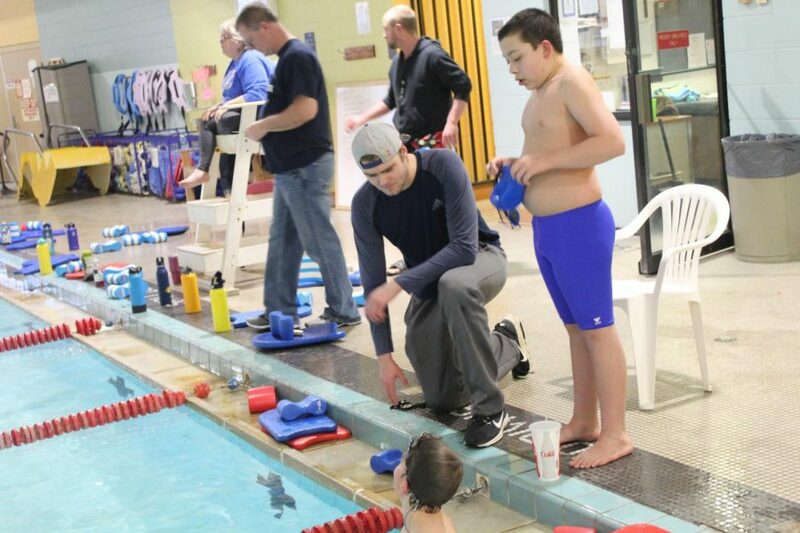 What is the next step for this surprisingly sidelined student swimmer? Heffernan wants to stay near the pool when it’s all said and done, but that doesn’t necessarily mean he’ll be in the water. “I want to be involved with swim, but I’d like to be a coach. I coach the younger kid-group for our swim club, and I realized that I enjoy that way more than swimming,” he said. Fortunately, he has taken this startling speed bump and made the most of it, “This was supposed to happen, because now I’ve found other opportunities and other things I would like to do besides swimming, and that’s the way it should be.” Even though his dream may have been hampered by circumstances unseen, he’s ready to dive off the blocks into new lanes of opportunity. This story was originally published on The Bulldogger on January 25, 2019.